Yes, they are done. As soon as I wove in the very last end I threw them over to where Joey was sitting on the couch, causing him to look up with an expression that said, “They’re done? I can have them now?” and he immediately put them on. ohhhh yayyy!!! i’m so excited you finished them!! Don’t lie, I know those are Aaron’s perfectly shaven legs. 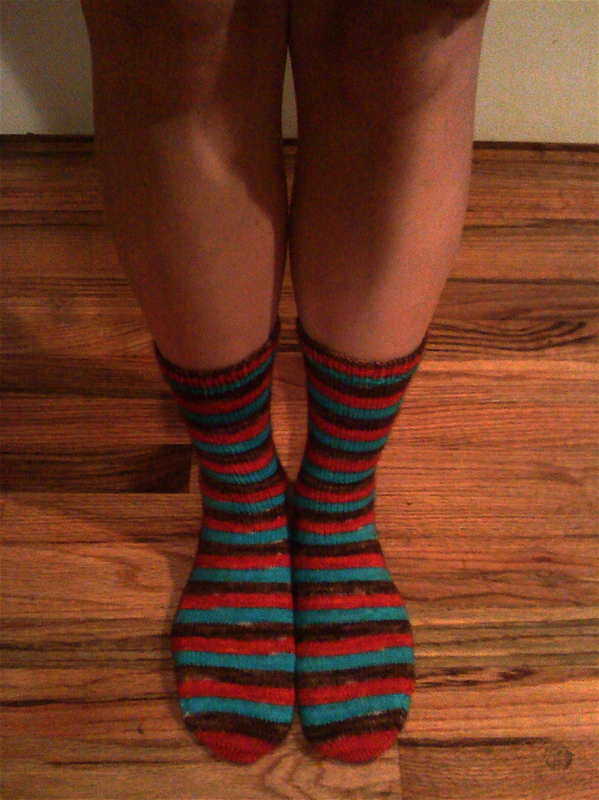 Cute socks! 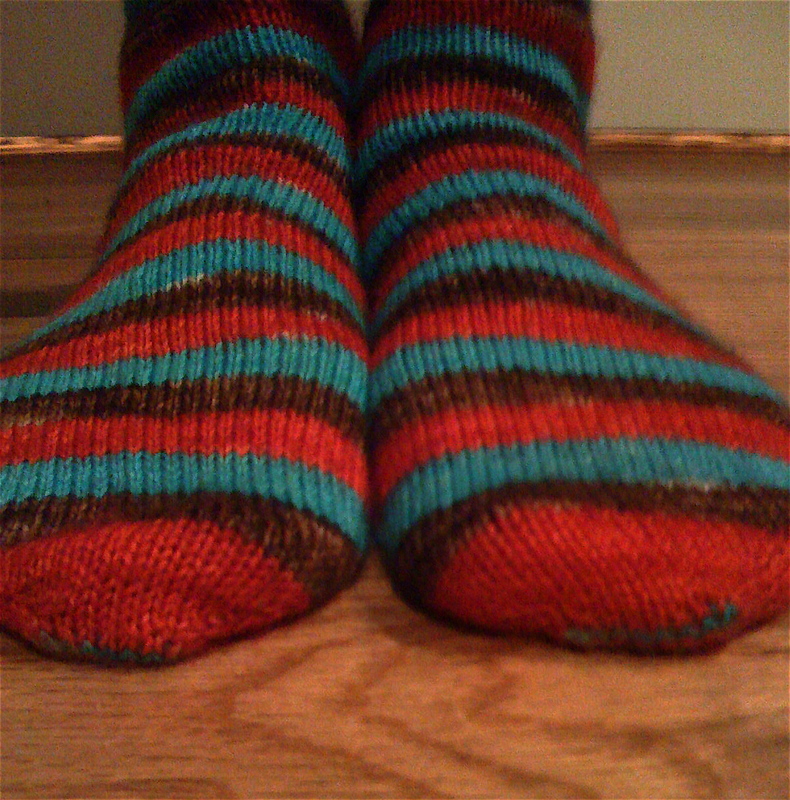 I find it very challenging to take pictures of my own feet & socks. “Yoga gone wrong” is a great description. Like the time we watched mom and dad do Tae-Bo? 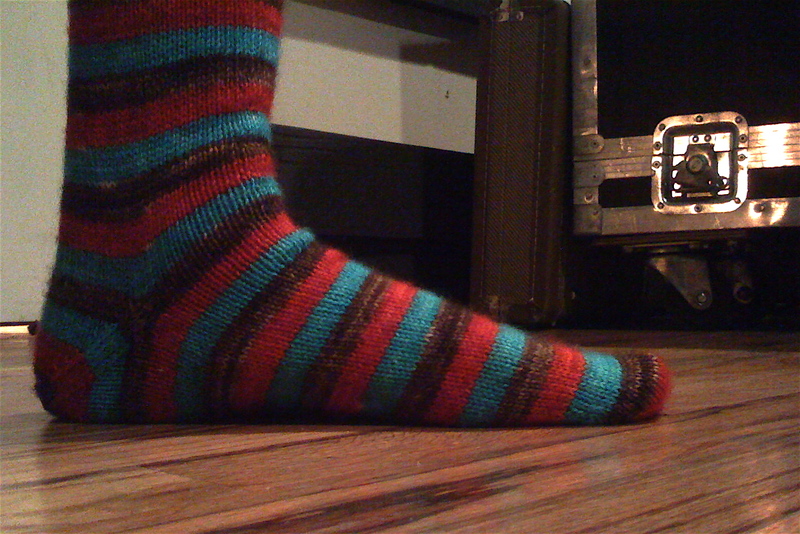 I was thinking those were some pretty nice legs…*grin* The socks look great, as does the R2D2 hat. I’m so glad your puppy is back with you.